So somehow three months have passed and I've been on the other side of the world for a quarter of a year. While I've been writing up lots of travel diary posts of what we've been up to, I realised I haven't really reflected on how it's been. Considering that this is the longest I've ever been away from home and that I'm a pretty sentimental person, I'd say it's worth checking in and writing down how I've really found this time and what I'm thinking about the next few months. Overall, it's been just amazing. Firstly spending time with my family out here has been such a joy and it's felt like a real treat as proper time with them is sadly a rarity since my sister moved out here. But aside from that I've explored an entire country (/the South Island of it, but we all know that the South Island has the best bits of New Zealand in it!) and had the best time in the process. Anyone who knows me will tell you that I'm a little bit of a princess so I have to say travelling round in a campervan and sometimes only having one shower a week is definitely 'roughing it' for me (South East Asia is going to be a shock to the system for sure, in a good way). And actually, shockingly, I've taken it in my stride most of the time I think. Apart from one morning when we woke up in Wanaka absolutely boiling, not having slept well, and not having showered for a week when I felt disgusting and was very done with living in a van, I've really enjoyed travelling around in a campervan. It's definitely the best way to see New Zealand on a budget without properly camping in a tent which is where I draw the line! And we've had some really lovely evenings in the van, making dinner and then, when we were lucky, looking up at some of the most amazing stars I've ever seen. It seriously puts into perspective how much air pollution there is in the UK compared to here looking up at such clear and beautiful skies at night. I'm not usually someone to jump at the chance of trying completely new things - foods, always but not really when it comes to physical activities. But travelling over the past few months has definitely opened my mind to that a lot more (that and the fact that Liam has been really encouraging in that area). I've tried my hand at kayaking which I never thought I'd do and found that I actually loved it, although I did spend almost every other minute worrying that we were going to capsize! And, it may not seem like much, but some of the hikes we've done I've found quite testing because I'm not the type of person who motivates myself very well when it comes to physical activity. It's funny because, when it comes to academia I'm resilient as anything but I think some part of me has always thought that I'm crap at any kind of physical activity and so I tend to want to give up far more easily than I would for most things. But I've been hugely rewarded for carrying on with hikes and not giving up with some of the most beautiful views that are honestly indescribable. And I like to think that from now on I'll be more up for challenges like this (although try me again when Liam suggests going for a hike in the tropical heat of South East Asia and we'll see how that actually pans out). I've also learnt, however, when it's right to turn back and to not be hard on myself for stopping. For example, when we did the Ben Lomond hike, I stopped and turned back at the saddle of the mountain while Liam carried on to the summit. And I don't regret that at all. I still had the most amazing views of Queenstown and I knew that day that climbing all the way wouldn't be for me. It's important to know your mind and definitely to push yourself, but to know your limits as well. Part of the reason also why it was so nice during that hike to head back and meet Liam at a cafe later halfway down the hike, brings me on to the other big thing that I've been learning during my few months in New Zealand. And that is about being in a relationship and how to spend so much time with one person. As you'll know if you've been reading this blog over the last year, Liam and I haven't been together all that long at all and, having had three months apart before I managed to get out here, it was funny going from that to spending every single hour together and living in a very confined space. I think it's been going really well and it's made me so happy to see us getting on so well and (for the most part) making each other happy too. But it is a unique situation to spend this much time with only one person and it's really taught me not only a lot about him but also about myself. Communication is so so important in any relationship but definitely one where you rarely spend a second apart from each other. And we're also trying to make sure we both get the time that we need to do our own thing - like during Ben Lomond when I spent a few hours on my own in a cafe, joyfully writing in my diary and catching up with my favourite people via voice notes. No couple should spend every single second together as much as you may love each other, it's just not healthy. And I've been really loving getting to know Liam so much better and challenging myself to be as understanding and loving as I can be, which isn't always easy if I'm hangry and being a control freak (which I'm afraid I can be prone to be), but I'm working on it! So three months in New Zealand have taught me a lot and have been truly amazing. It's cliche to say it I know but they've just flown by and I'm a bit gutted that this marks the halfway point for my travels. But there's so much more to come and I can't wait to see what Brisbane and SE Asia have in store! When you read this I should be in Brisbane and from then it's on to Asia. I'm not sure how much I'm going to be able to blog after this so hopefully I'll be checking in at some point soon but it's going to be a bit more difficult so if I'm not here anytime soon, have a look at my Instagram if you want to see what I'm up to! As I mentioned in my last post, at the start of February we were heading straight to Blenheim for the food and wine festival on the 9th February. Once there, we explored a lot of the north of the South Island and saw some truly stunning places. The north of the South Island is home to so many beautiful beaches and, as the weather was so good to us, we spent a looot of time on the beach over these few days and I was pretty much in heaven. It really amazes me how diverse New Zealand's landscape is. It really has got everything, from beaches to mountains to lakes to rainforests, it's such an amazing place to be. BLENHEIM :: When my sister first came to New Zealand nearly ten years ago, she settled in Blenheim and stayed there for eight years. So she knows it pretty well and, being a wine lover, recommended that if Liam and I could fit it in, we go to its annual food and wine festival which she was going to too. Two of my favourite things in life are wine and food so it was a no brainer for me. I had such a lovely day, it was very expensive but pretty much the dream for me. I tried so many wines and ate some absolutely delicious food and was essentially on cloud nine all day. Liam doesn't have such a raving review of it because he's not really a wine lover like me so I think he found the whole thing too expensive for what it was, which is fair enough. But if you're in the area around the start of February and you love food and wine, this is the day out for you. The day after the festival we went to Whites Bay beach which is a short drive from Blenheim and is just beautiful and then we stayed the night at Robin Hood Bay. When I woke up at 6:30am because I needed a wee I was graced with the most beautiful sunrise I think I've ever seen in my life at Robin Hood Bay, it was truly magical and very unexpected for my half-asleep self. After that we zipped around the north of the South Island, but returned to Blenheim for my birthday because, again, I wanted to spend the day eating food and drinking wine, and my sister had recommended the winery Rock Ferry for my birthday lunch. It did not disappoint. We both had a three course meal and my god I'm salivating right now just thinking about it. It was truly glorious and I felt so spoiled by my lovely school friends who really kindly paid for our lunch as a birthday present to me. We then went to Saint Clair's Vineyard for a wine tasting and I promptly went into a food coma and had a lie down for an hour. If you're into wines Blenheim is the place to be - there are vineyards absolutely everywhere and tastings cost next to nothing. What a dream! PICTON & MARLBOROUGH SOUNDS :: Like Blenheim, we ended up going to Picton/the Marlborough Sounds twice because of the loop we were doing to be in Blenheim on my birthday. So, on the first visit we drove the amazing Queen Charlotte Drive, stopping in Anakiwa for dinner. It was absolutely stunning and amazing to see the Marlborough Sounds in comparison to Milford and Doubtful Sounds. On our second trip back to the sounds we got a boat from Picton to the Lochmara Lodge where you can spend a day or stay overnight and do kayaking and seeing some of New Zealand's native animals. It was lovely although I don't think you needed more than a day there really. ABEL TASMAN NATIONAL PARK :: Now, one of my absolute favourite places I've seen in New Zealand is the Abel Tasman National Park. On our first day there we went to Kaiteriteri Beach and whiled away the afternoon, Liam, in the sea, me, engrossed in Michelle Obama's 'Becoming'. (Which btw I am obsessed with and is such an *incredible* read.) After a lazy day, the following day we did some of the Abel Tasman Coast track, another one of New Zealand's great walks. We got a water taxi to Anchorage and saw some baby seals on the way. When we got there we did the Pitt Head Loop Track walk and then walked back from Anchorage to the start of the Abel Tasman Coast track in Marahau. It took a looong time but the best part of this walk is that every fifteen minutes or so you can stop at some of the most stunning beaches I've ever seen in my life. I would have liked more time at some of them to be honest but we were limited on time since we needed to walk back to Marahau by the evening. The beaches were just incredible and Abel Tasman is pretty much top of my list in New Zealand recommendations now. GOLDEN BAY :: After Abel Tasman we headed to Golden Bay, spending Valentine's Day on two of its lovely beaches, Patons Rock and Pohara, before going for dinner at The Dangerous Kitchen. We both had pizzas and poor Liam's one wasn't great but I really liked mine! So mixed reviews for that restaurant I guess. The next day we went to possibly the most amazing beach I've ever seen in my life, Wharariki Beach. It's not a swimming beach but so unbelievably beautiful and if you're in New Zealand you really have to go. After that we did a bit of a walk by Farewell Spit before driving to the Nelson Lakes. All in all Golden Bay and Abel Tasman are two of my absolute favourite places in New Zealand, the north of the South Island really has so much to offer. NELSON LAKES :: Just before my birthday we had a couple of nights by the Nelson Lakes, Rotoiti and Rotoroa. They're both beautiful but Rotoiti was definitely superior to Rotoroa in my opinion and had less sand flies which are pretty much the bane of your life when you're in New Zealand. At Rotoiti we did the Mount Robert Circuit which gives you incredible views of the lake. I'd really recommend it, it's really steep going up but once you're up there it's amazing. It also claims to be a five hour walk but we did it in three so it's definitely not necessarily a whole day hike. And that brings you pretty much up to date with what we've been up to over the past month or so until we started housesitting in Nelson. As a quick side note Nelson is a really nice little town in itself, if you go there on a Wednesday as we happened to, definitely grab your lunch at the farmer's market, I had an amazing Indian dosa followed by a passion fruit doughnut which was every bit as good as it sounds. I can't believe we've only got two more stops in New Zealand (at the time of writing) - Kaikoura and Hanmer Springs which Liam hasn't been to yet - and then that's it! I really hope you've enjoyed these posts. I know travel posts aren't always the most fun to read if you haven't been to the place or have no plans to go to the place the person is writing about but I hope if you have read them you've liked them and that they've given you a bit of an insight into one of the best countries I've ever visited. Now it's onto Brisbane and then South East Asia here we come! Disclaimer: Again, Liam has very kindly let me use some of his photos in my blog posts so I just wanted to highlight that not all of these beauties are my work! After quite a few days in the Te Anau/Fiordland National Park area, we had a lot to fit in before the 9th February when we needed to be in Blenheim as we had tickets for their annual Food and Wine Festival. During that time we saw both some of my favourite places and probably the most underwhelming places I've seen on this trip so far. QUEENSTOWN :: Queenstown is somewhere that pretty much everyone has heard of. It's the adventure capital of New Zealand and a classic pitstop for most travellers. I'm not in the slightest into extreme sports so there was no bungee jumping for me but it was still a lovely place to explore. Compared with what I'd already seen of New Zealand, Queenstown felt hugely crowded and it really is buzzing as people describe. It's a really beautiful place and we spent our first afternoon there just having a wander around it, stopping at Cookie Time for amazing milkshakes, having a walk around the Queenstown Gardens, and going for a drink at Perky's bar, which is a floating bar on the lake. No more lazing around after that though as we spent our other day in Queenstown doing the Ben Lomond track. It was boiling but gave us such incredible views so it's well worth doing. I stopped at the saddle and headed back while Liam did the whole thing - it's worth knowing that there are different options depending on how much you're wanting to hike. Aside from that, we didn't have anymore time in Queenstown sadly as there were more places we wanted to fit in before Blenheim. I liked it and could have spent more time there but I have to say it didn't wow me as much as some other places in New Zealand have. The fact that it was so packed and busy felt a bit to me like it wasn't really New Zealand which might sound strange but when the majority of what I've seen of it is small towns and vast spaces of land this was unlike any atmosphere I'd felt so far! GLENORCHY :: Part of the reason why we only spent a day and afternoon in Queenstown is because there are a couple of quaint little towns near it that we wanted to visit. The first was Glenorchy. It's a really nice little town with a good feel to it and things to do in the surrounding area, we visited the Diamond Lake and a tiny place called Paradise which I think you can't really describe, it's somewhere you have to just see and you get the feel of it that way. It's also a good place to get access to the Routeburn Track which is one of the great walks of New Zealand. It takes 2-4 days to do it in full which unsurprisingly I didn't jump at the chance of doing but we did one of the day walks, to the Routeburn Falls Hut which was beautiful and one of Liam's favourites we'd done so far. So I'd say that if you're in the area Glenorchy is definitely worth stopping off at, even just for one day. ARROWTOWN :: The other little town we wanted to visit near Queenstown is Arrowtown. Arrowtown is a historic gold mining town where many Chinese settlers lived in the gold rush in the 1860s. It's one of my favourite places we've visited and has such a great feel to it. We went to the museum, learning all about the history of the gold rush there, visited the farmer's market, and chilled by the Arrow river in the sun, taking dips in the river when we got too hot. We then went out for dinner at The Fork and Tap which did lovely food and drinks and had some nice live music. One of my favourite ways to explore somewhere is just to spend a day walking around and relaxing because I think that way you can really get a feel for the place and nothing is rushed and that was definitely the best way to spend a day in Arrowtown. WANAKA :: After Arrowtown we headed to Wanaka which has such a stunning lake and was one of the standout places for me. On our first day we did the Isthmus Peak Track which was probably my favourite hike we've done. It was quite tiring but I plugged in my headphones, caught up on some podcasts including Dolly Alderton's Love Stories podcast with Stanley Tucci (definitely one of my favourite episodes ever), and the five and a half hours actually went pretty quickly. The view at the top was truly breathtaking as well which made the whole thing worth it, even the crazy wind that didn't stop the whole way down. We did the walk aiming to be at the peak at sunset and it was really beautiful at that time and not very busy so if you're considering it I'd recommend doing it at a similar time. After Isthmus Peak we decided we'd definitely earned a day of rest so the following day we relaxed by Lake Wanaka, had a walk around and had some pastries from the Wanaka Bakery which to be honest I'm still thinking about now - boysenberry danishes will always be a good idea. And that was all the time we had in Wanaka, short but very sweet! LAKE MATHESON & BLUE LAKES :: After Wanaka our main aim was to get up to Blenheim pretty quickly, stopping in a couple of places on the west coast on the way. We breezed through the township of the Fox Glacier, deciding not to stop and do any walks around the Fox Glacier, and instead just stopped to do a walk around the Blue Lakes and Lake Matheson. The Blue Lakes are really beautiful and definitely worth a quick walk around or, if you're Liam, a quick jump into from a bridge. I think it was freezing judging by his reaction and something I wasn't in the slightest interested in doing myself but it was fun to watch him go for it. Lake Matheson, in the right weather conditions, makes for one of the most famous pictures of a New Zealand lake. If the weather's right, you get a perfect mirror reflection of the mountains that's just stunning. (Seriously, have a look on Instagram and you'll see exactly what I mean.) When we went unfortunately we didn't have those perfect conditions so, while it was still beautiful and I'm glad we stopped there, it was a bit underwhelming and not as amazing as some other lakes I've seen in New Zealand. That area did give us an amazing view of the Fox Glacier though at the lookout point, just down the road from Lake Matheson. That again needs good conditions for you to be able to get that view as we saw it the next morning and you couldn't see the glacier at all for clouds, but if you've got a clear day I would just go there rather than doing a walk to the glacier to be honest as the view was great. FRANZ JOSEF GLACIER :: The next day we headed to Franz Josef Glacier and did the main walk to view the glacier. It was cool (no pun intended) but I again wasn't wowed by it. I do think it's worth seeing since the walk isn't very long, and if you've got the budget and the inclination you can do helicopter rides over the glacier to get an amazing look at it, but for me it definitely didn't stand out compared with some of the other places I'd recently seen. So there you have it, a real mixed bag of our journey up to Blenheim - some of my absolute favourite places and some of my least favourite places from the trip so far. I think I've got one more post to share to get you up to date with our travels up to now and then before you know it we're off to Australia and my three months in New Zealand will be over! Disclaimer: Liam has very kindly let me use some of his photos in my blog posts so I just wanted to highlight that not all of these beauties are my work! Happy Sunday everyone! I hope you're having a great weekend and that the weather is picking up a bit back in Blighty. Well, it's been nearly a month and what a jam-packed one it's been for me. We've hit around thirteen stops on the South Island of New Zealand and have had a really great time. 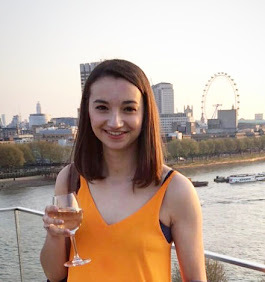 If I hadn't already, the last few weeks have made me fall truly head over heels for this country so I'm going to share the best bits here, split into a few posts though because thirteen places in one post might be a little too much ground to cover. THE CATLINS :: Our first stop after housesitting in Dunedin was in the Catlins, for one night only. The Catlins is known mostly for its beautiful beaches but sadly during our very short time there the weather was pretty rubbish and we didn't much fancy spending the day on the beach in the cold, grey, and later, pouring rain. So we definitely didn't get a proper feel for or explore of the Catlins but we stopped in a seaside town and later drove to Nugget Point and did the Nugget Point Lighthouse Walk which is super easy and really beautiful. TE ANAU :: Our next stop was Te Anau. Te Anau is a little town in the south-west of the South Island which is mostly stopped in because it's the gateway to Milford Sound, one of the the biggest tourist attractions of New Zealand. It's a lovely little town in its own right though, with a beautiful lake and some nice cafes and restaurants. I had a really good pulled pork burger at The Ranch so can definitely recommend that if you're in the area and looking for a good meal. Other than that, there's not much I have to suggest for Te Anau except for to use their information centre to ask for some advice before heading to Milford Sound. MILFORD SOUND :: As I wrote on my Instagram, Milford Sound is the place that was top of my list when I came to New Zealand and the place I was probably most excited to see of all. (Side note: if you want to keep up to date in more real time with what I'm up to - which I assume you *obviously* do, my Instagram is definitely the place to do that!) And it was stunning. But our few days there weren't without drama to say the least. If you have the time, I would recommend spending at least a couple of nights in the area. It takes some planning (hence why I advised stopping in at the Te Anau info centre before heading there) because there's nowhere to get car fuel, food or anything in the area and it's two hours outside of Te Anau so you really need to be prepared for that. Oh and also there's no phone reception anywhere either. Once you've organised yourself though there's a lot more to do than just see the sound itself. There are so many beautiful walks and places to stop. On the way there we stopped at Eglinton Valley and the Mirror Lakes, which were both beautiful. And that afternoon we did the Gertrude Saddle hike which is where the drama began. 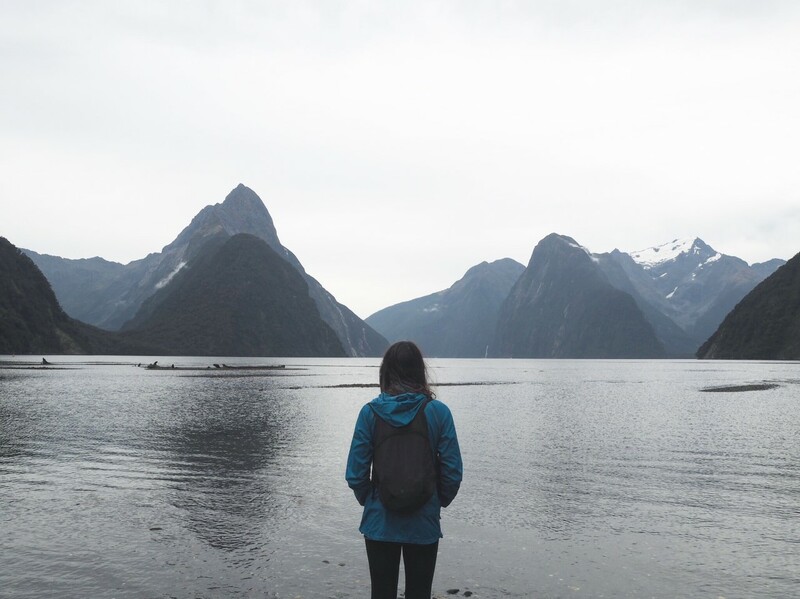 The thing about Milford Sound and the Fiordland National Park in general is that it's one of the wettest places in the world, getting a ridiculous amount of rainfall, and the weather is really unpredictable. Also, with no signal, it's not easy to get updates on the weather. So this hike is supposed to be six hours return and let me tell you, it's not easy. Now I'm speaking as a completely unexperienced hiker who generally barely moves so that might not be an accurate assessment if you're a keen hiker but I found it really difficult. Anyway, we climbed up in blistering heat and when we finally got to the top (which really was beautiful), we got to enjoy the view for all of about a minute before clouds came over, completely ruined our vision and the heavens opened. The heavens didn't stop either, entirely against the weather forecast, so we had to climb down hardly able to see in front of us. Anyway, for me it was pretty much hell and to top things off, when we were finally near the end I managed to get lost in the pouring rain, with no signal, on an abandoned track where I was sure no one would come back until morning. Definitely not fun. Liam came back and managed to find me so all was ok in the end though. For that minute at the top it truly was stunning so while I definitely would not attempt it again, it could be an amazing hike if the weather stays ok and that's your kind of thing. Day two was much more successful however (thank god). We did two really beautiful and much more enjoyable walks - Lake Marion and Key Summit. Both tracks were a lot easier, and they were shorter walks in general, especially the Key Summit one. I actually really enjoyed them and would definitely do them again so if you're not so sure about hiking I would probably stick to those two. They're still each three hour walks with great views. Finally on our last day we saw Milford Sound and did a cruise on it. It really was beautiful to the point where it felt a little unreal. So worth seeing and cruising on if you can and there isn't as much opportunity for drama like the Gertrude Saddle hike! DOUBTFUL SOUND :: As I said before, it feels like everyone and their dog knows about Milford Sound, and that shows when you're there. It's amazing but it's full of people and boats on the sound itself. Doubtful Sound, however, is bigger, far more remote and (in my opinion) just as, if not more, stunning. We only ended up going there by chance really. My half-sister's half-brother (hope that makes sense haha, my sister and I have the same dad and her brother and her have the same mum) has lived in Te Anau for years and works as a skipper for Doubtful Sound Kayak. He recommended that we go for their day trip to Doubtful, and kayaking on the sound. It's very expensive but he managed to get us a great discount and I'd heard such good things from two of my sisters that have done it that we decided to go for it. And I'm so glad we did because it was such an amazing day. The great thing about the kayaking is that it doesn't really matter what the weather's like at Doubtful, it's still an incredible experience. We were treated to rain, a rainbow, sunshine and it was all just beautiful. I'd never kayaked before either and while Liam definitely did most of the work (so thrilled it was a two person to one kayak situation), I really enjoyed what I did do. To be honest, Doubtful Sound tipped it for me and I think I'd say I actually preferred it to Milford. It's just so peaceful and less crowded than Milford and you really feel like it's just yours to see. I'm not usually someone to care about a place being touristy since I think that usually it's touristy for good reason i.e. it's worth seeing. But in this case, I was really able to notice the difference that it makes so I would highly recommend visiting Doubtful Sound if you're in the area - don't get lost in Milford on its own. Now that is the height of the drama we had over the last month all out in one hike! But there's so much more to come and some of my favourite spots so far that I'll be back to share with you over the next few days. We're now at another housesitting job in Nelson and I'm really looking forward to having time to write about everything. Have a wonderful day whatever you're up to!